Liza Hernandez is starring in a new reality series executive produced by Karrueche Tran and once Floyd Mayweather jr. found out how big the show was going to be he get mad at his girlfriend Liza and took to instagram to throw money at strippers in an effort to hurt Liza's feelings. The caption read "A normal day in the life..." but just a few days before he was hugged up with Liza front row at several games. 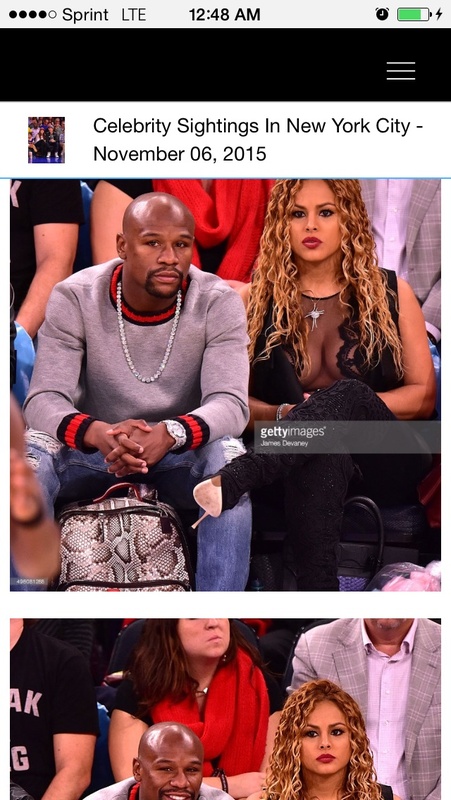 It's obvious Floyd is just showing out to hurt Liza. It is also speculated that Chris Brown heard that Karrueche is executive producing the new reality series and knows how smart and talented Karrueche is. He also knows she will be super paid from the series. Maybe even surpassing him. I will also fill you in on the other cast members as they are released.